Florida residents, on military assignment outside of Florida, are not required to submit proof of Florida insurance coverage. This exemption does not apply to vehicles registered solely in the name of a non-military spouse or dependent(s) of the military member. Military Members should visit: https://www.flhsmv.gov/military/titles-registrations-military-members/. In order to maintain accurate records all changes of address must be reported to the Tax Collector’s Office within 20 days. It is the responsibility of each registered owner to ensure that the vehicle’s registration is kept current. Renewal notices are mailed as a courtesy service only to help facilitate the renewal process. You can change your address in any of our branch offices. The fee to change your address on a current registration is $2.50. You may also change your address online at www.GoRenew.com. Enter your new address and choose to purchase a duplicate registration. The fee online is $3.75. 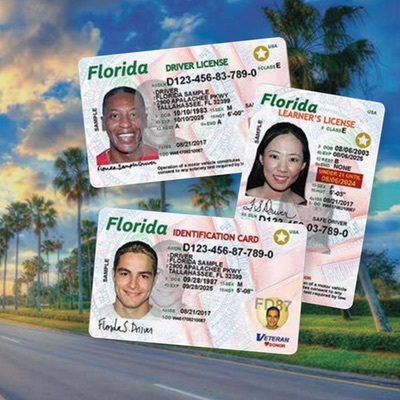 A duplicate Florida title may be obtained by completing a DMV form (Form 82101). It must be signed and submitted with an $85.25 fee to your local Tax Collector’s office. The application must be signed by the lien holder if an outstanding lien exists.